No financial planning is complete without an objective analysis of risk. But as humans, we are apt to subjectively examine risk and reward from the context of our own unique financial position. That’s why we use Riskalyze, a financial risk assessment tool based on Nobel prize-winning economic theory to better align your portfolio with your expectations about risk and reward. 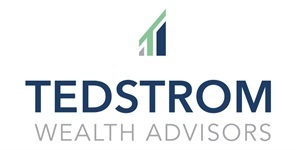 You won’t hear vague terms such as “moderate risk” or “moderately conservative” from your advisors at Tedstrom Wealth. Instead, we’ll figure out your Risk Number with Riskalyze. This number pinpoints the corresponding risk/reward range that allows for transparent, objective, well-defined and action-oriented expectations. Are you ready to take a risk tolerance quiz and find out your Risk Number? Contact Peter Tedstrom or Robert Alexandrovic today.